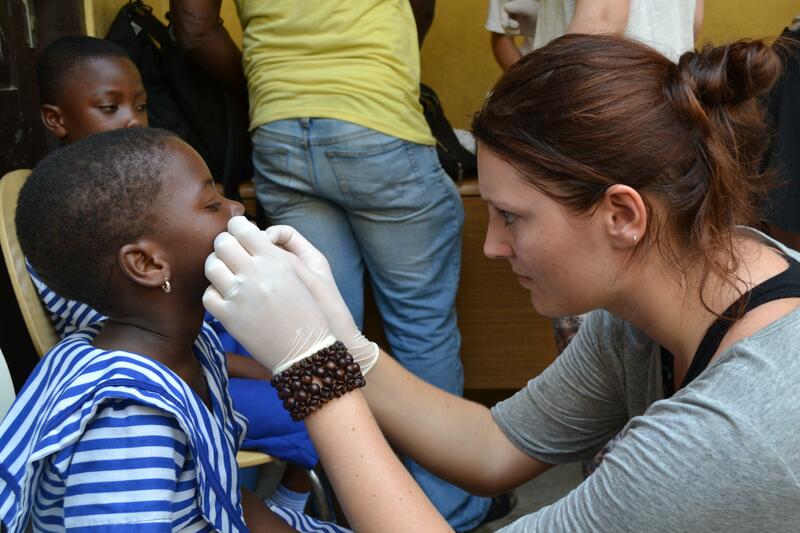 Seize the opportunity to learn from experienced dentists by joining our Dentistry internship in Ghana. You’ll shadow dentists as they move around the hospital completing day-to-day tasks. 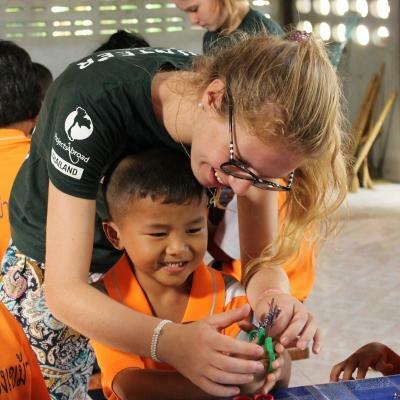 This is a great way to learn about dentistry in a developing country and add practical work experience to your CV. You’ll also assist dentists as they provide free basic dental checks to disadvantaged children. 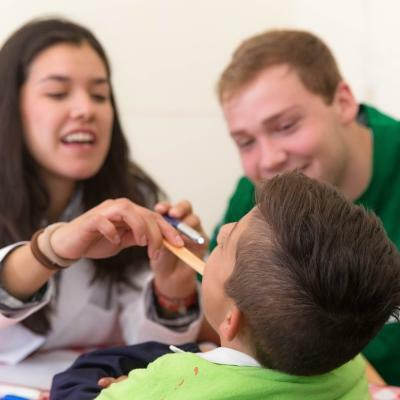 When you aren’t helping with dental checks, you’ll talk with the children about the importance of good dental health. You can demonstrate effective teeth brushing and run educational talks on gum disease. You’ll work in the beautiful fishing town of Cape Coast, right by the sea. 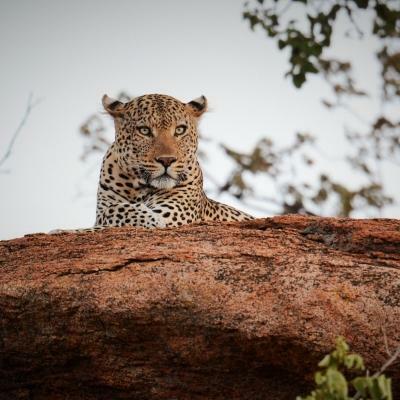 You can spend time exploring the many national parks, hiking in the countryside or visiting historical sites. You can always find a bit of peace and quiet at one of the many coastal beaches. Is gaining dentistry work experience in Ghana right for me? 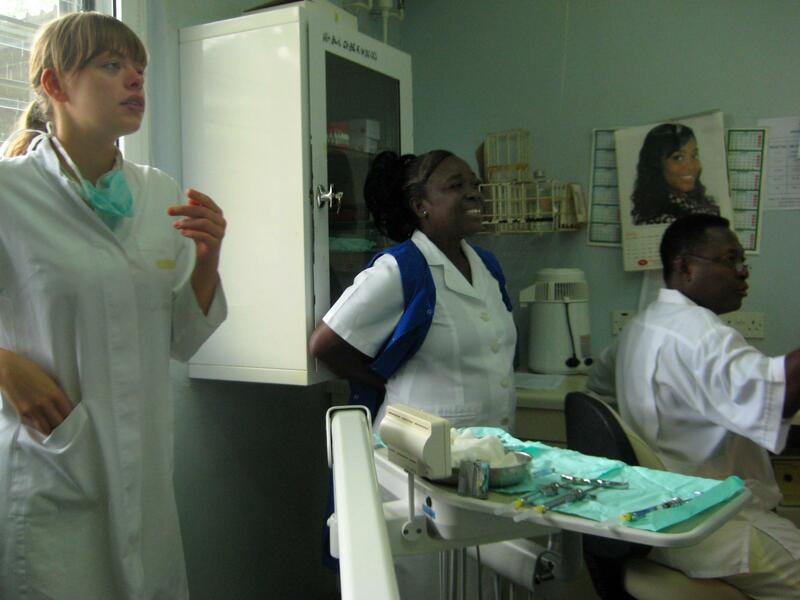 If you are a student looking for dentistry work experience in another country, then our Dentistry internship in Ghana is for you. You’ll have the opportunity to shadow dentists and work with patients who have a culture different to your own. The skills you’ll learn during this internship are a great addition to any CV. This can put you a step ahead of the rest in future job interviews. Even if you’re not a dental student but are considering a career in this direction, you are welcome to sign up. The focus of this internship is on learning, and we’ll teach you everything you need to know for outreach work. You’ll also have a supervisor who will be there when you need them. They are there to teach you, guide you and support you throughout your time in Ghana. This internship is open throughout the year. You can join from two weeks, but we encourage you to stay longer. The longer you stay, the more you’ll learn. 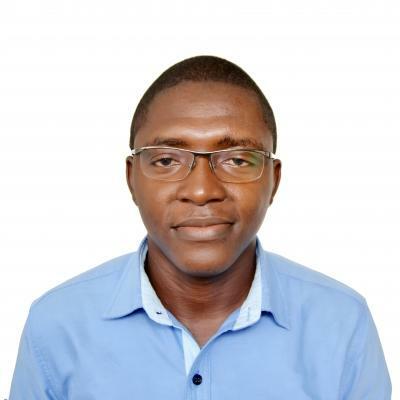 What will I do during my Dentistry internship in Ghana? To give you a better idea of dental practices in a developing country, you’ll spend your time observing dentists at your dentistry placement in Ghana. You’ll assist with patient and equipment preparation, and provide patients with support if they feel they need it. Use this opportunity to ask the dentist questions about the conditions of different patients and how they are being treated. Many locals living in rural areas cannot afford basic healthcare and are unable to travel to the hospitals and clinics. To improve their access to basic healthcare, you’ll assist dentists with free basic dental checks in the community. You’ll assist with examinations and the dentist will advise or refer patients after discussing their cases with you. Education is key to preventing dental issues. You’ll talk to the community and children at local schools about the importance of good oral hygiene. You’ll also create posters and informative materials to distribute in the community and run teeth brushing demonstrations for the children. 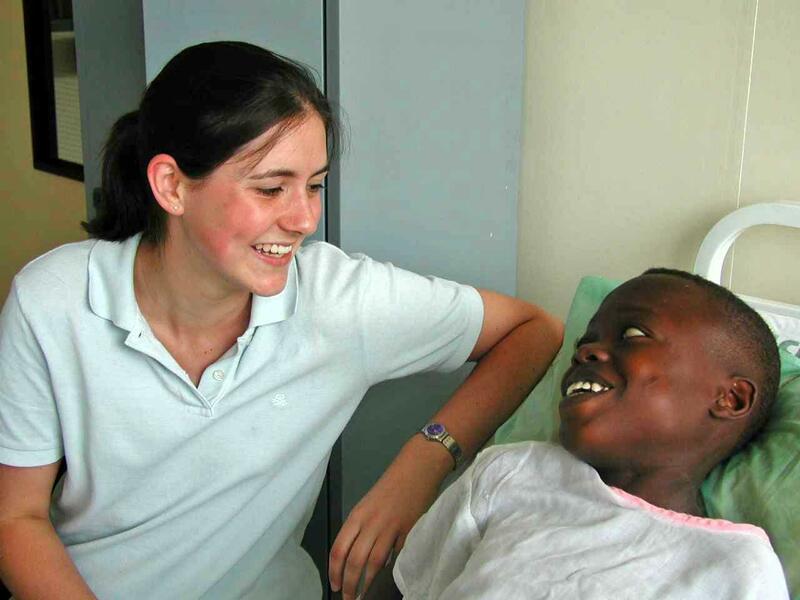 Your Dentistry placement in Ghana will be based in the fishing town of Cape Coast. Although quiet and peaceful, Cape Coast has a difficult history as one of the largest slave-trading centres in West Africa. You can see the colonial influence in this town, specifically with art and in the many buildings that dot the main streets and beaches. You’ll work in one of the most modern hospitals in Ghana. Since it serves as a teaching hospital for medical students, the local medical and dental staff will be happy to assist you throughout your internship. You’ll wake up each morning to the call of your host mother. Before making your way to the hospital, you can get ready and grab something to eat. Most host families live close to the hospital so you’ll either take a 10-minute walk or grab a quick taxi ride. On your first day, our staff will accompany you to show you the way. On your first day, your supervisor will be there to show you around. You can expect to work from 8am to 2pm, Monday to Friday. However, you are welcome to stay longer, provided there is a supervisor available. Lunch time is typically at 12pm, but this is not compulsory. Some interns prefer to eat lunch back at their host family after finishing for the day. You’ll start each day at the hospital by assisting with preparations before they start receiving patients. You’ll then be able to sit in on patient consultations. Once or twice a week you’ll be able to assist local dentists as they examine children at a dental outreach in the community. These will include visits to schools where you will have the opportunity to educate children on the importance of dental hygiene. 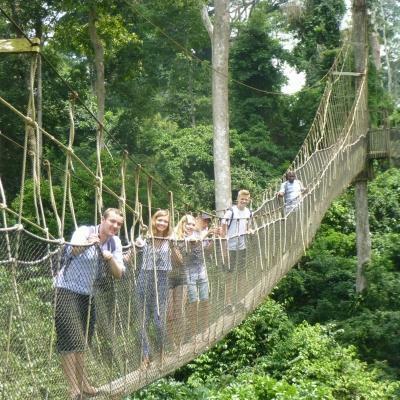 Over the weekends, explore more of the beautiful Ghanaian countryside. Hike through one of the many national parks, visit historical museums, or spend the day relaxing on the beach. 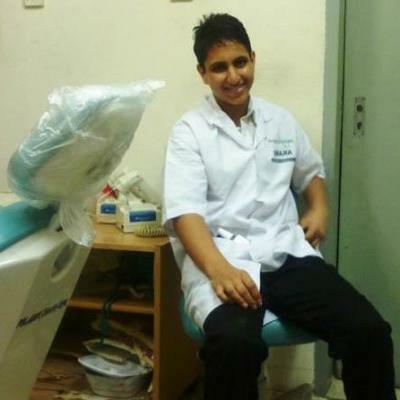 What are the aims and impact of this Dentistry internship? 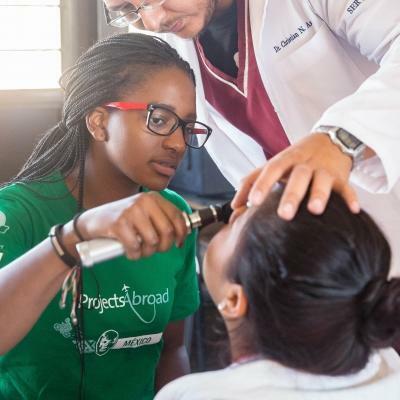 The aim of our Dentistry internship in Ghana is to give you a chance to observe and learn from qualified dentists working in a local hospital. You will gain plenty of work experience hours to add to your CV. In addition, you’ll leave with a deeper insight into the challenges people face with dental care in developing countries. This will give you interesting points to talk about in interviews or applications. As well as providing you with the opportunity to learn, we also want to include you in our efforts to provide healthcare in disadvantaged, rural areas. We host regular medical outreaches in these communities that you can take part in. Help us work towards these goals and gain dental work experience in the process by joining our Dentistry internship in Ghana. The dentists at the hospital were keen to pass on their knowledge to us volunteers, teaching us about different cases, equipment, procedures and how to interpret x-rays. 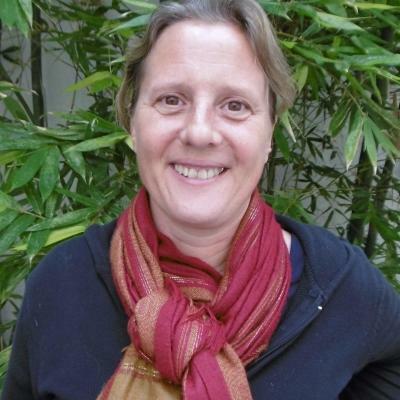 I have since volunteered through other programmes, but Projects Abroad went above and beyond to provide both flexibility and structure so that I could make the most out of my volunteer experience.